Curb appeal galore! 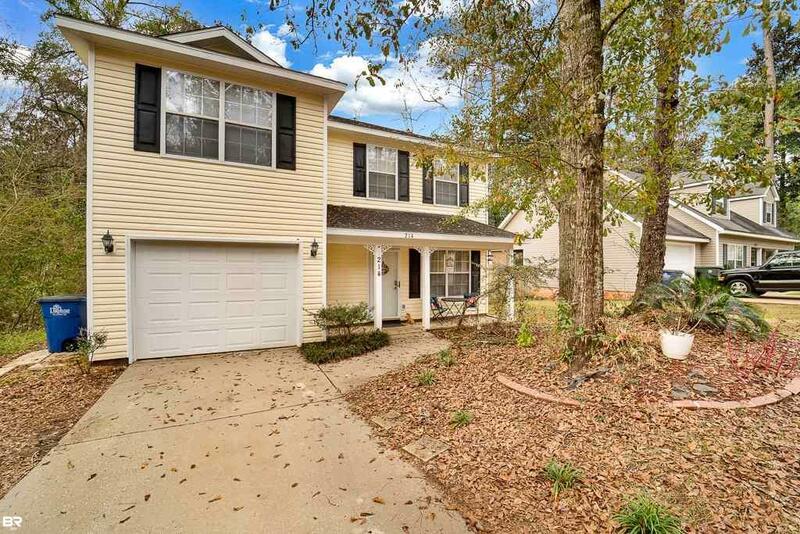 Cute, move-in ready home within a short walk of one of the neighborhood's swimming pools. As soon as you walk in, you notice the new vinyl plank flooring. The Dining Room features French doors that open to the back deck (the seller is updating the deck and adding railing, so new pictures will be available next week). The Master Bedroom is oversized and the Master Bathroom has a double vanity and walk-in closet. The lot extends approximately 186' back offering peace and privacy in the backyard. There is a creek that runs through a drainage easement on one side of the property and it turns and runs on the back corner of the lot. This also gives a good amount of privacy from your side neighbors. Must see to appreciate the lot size and privacy in the back! Directions: Enter Lake Forest Through The Hwy 90 Home Depot Entrance. Continue On Bayview Drive. Bayview Will Turn Into Ridgewood Drive. Turn Right On Montclair Loop. House On The Right.